A few months ago a lovely couple stepped through the door of our studio. I recognised Matt as he was a groomsman in a wedding I shot earlier this year, but I hadn’t had the chance to meet his gorgeous girlfriend Hayley back then. Long story short, Matt spoilt Hayley on Valentine’s Day and they ended up getting an extra special little gift from Valentina Flowers in the form of a photography voucher. They are such a lovely couple, and the way they care for and make each other laugh is what it’s all about. Hayley & Matt wanted to do their shoot on family properties, which was an awesome idea, I love a sentimental location. 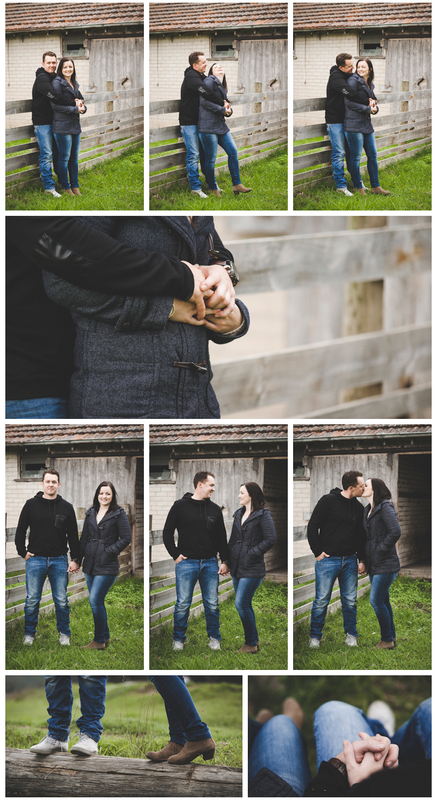 It was a typical freezing Victorian day, so we rugged up, braved the cold, worked some magic together and smashed out an awesome little shoot at two locations within 30 minutes! I couldn’t have been happier when Hayley & Matt decided they wanted these first four images in their home as a series, I just love it when my clients go for the out of the box stuff!